I’m awesome at cooking a meal for one or two people. Four people tops, but when you start getting into catering numbers like the 17 people that will be at my house for Thanksgiving, I pass the torch to my sister. 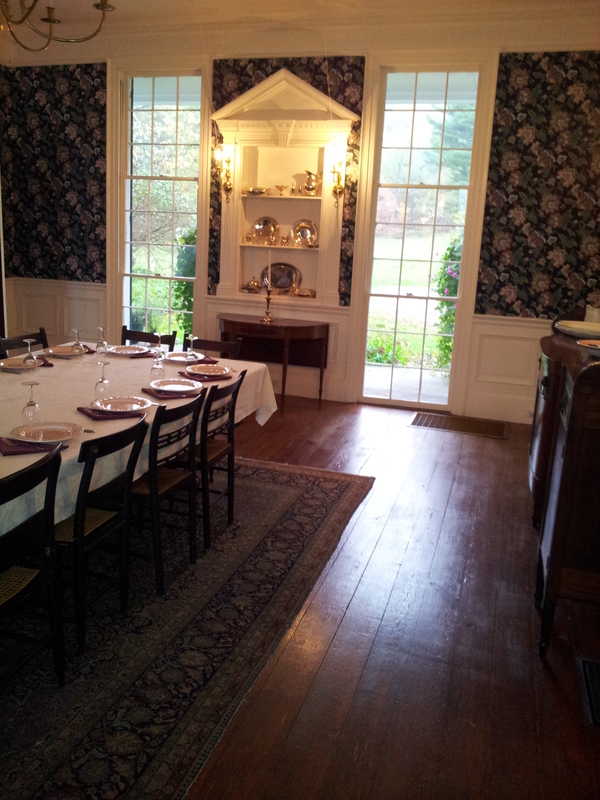 The trade off is that I’m always in charge of decorating the dining room. Seems like a fair trade until you factor in how neurotic I am when it comes to staging the perfect table. There are so many things to consider. Color scheme, seating, floral arrangements. The list goes on. I’m gonna let you in on a little secret. 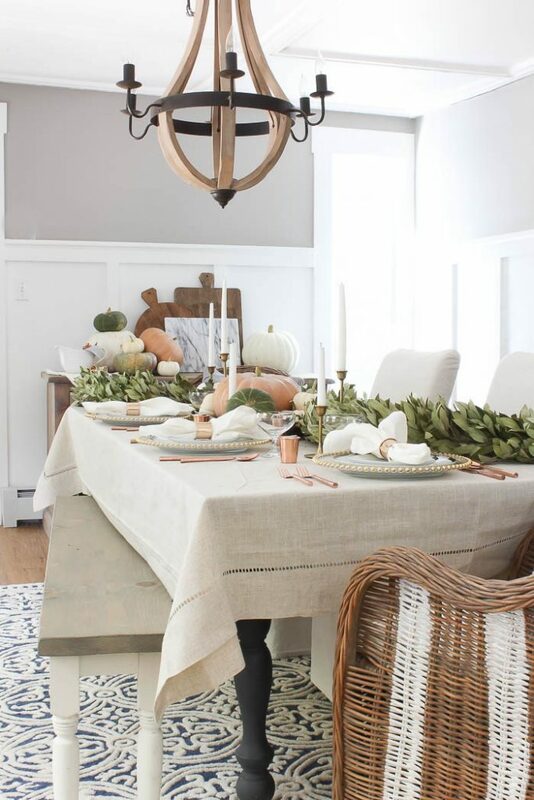 What I usually do to get inspired is I scour the internet for snapshots of beautiful tablescapes, and then I just recreate them in my own dining room, usually at a fraction of the cost thanks in large part to stores like Michael’s, Target, Thrift Stores, and even the Dollar Tree! 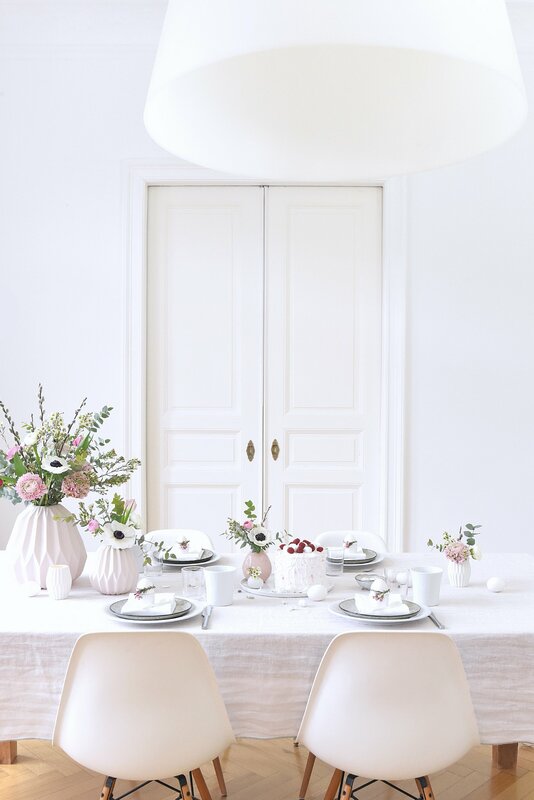 I rounded up some of my favorite tablescapes so you can get inspired too! 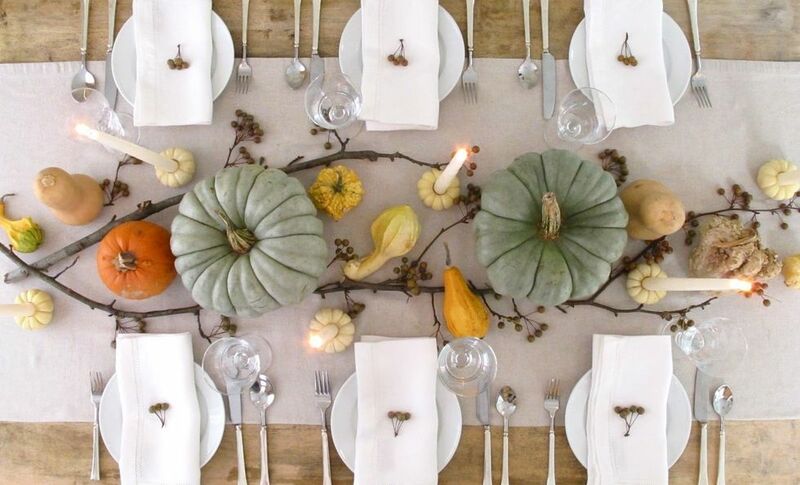 It’s not too late to create a beautiful and elegant Thanksgiving. It’s hard to believe that Thanksgiving is right on the horizon. 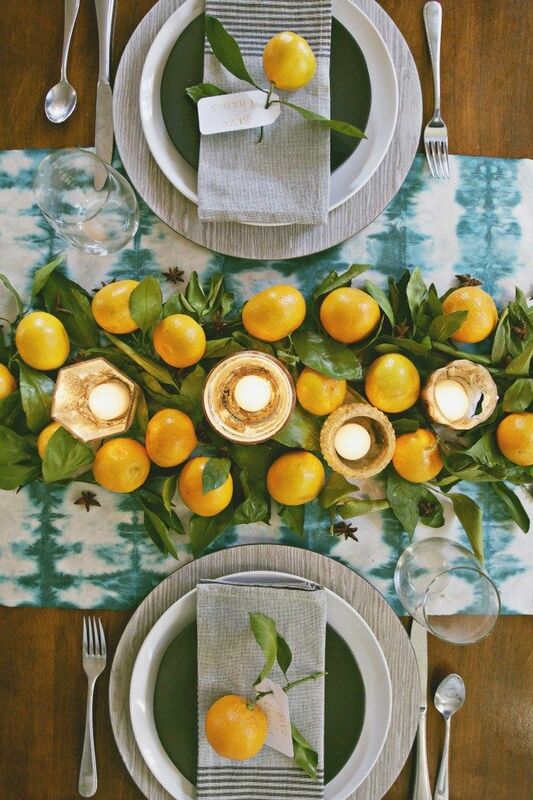 I’m getting pretty excited though because one of my absolute favorite things to do is to dress the table! 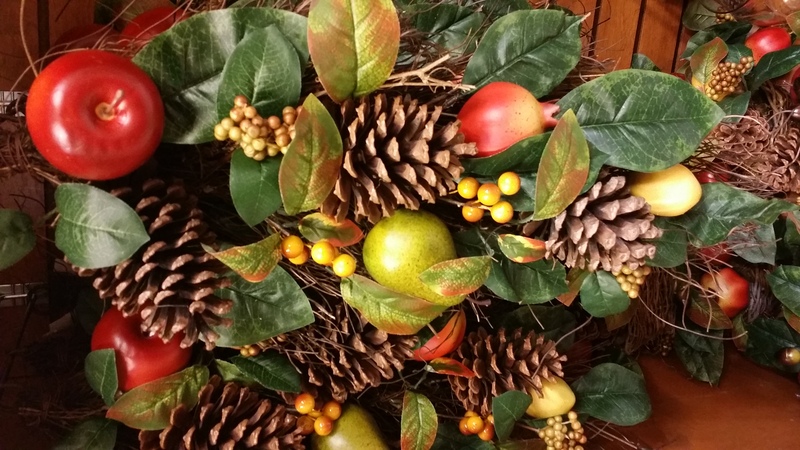 Check out these cool pictures and get inspired for your own holiday table! There are ideas for every design aesthetic, plus some really awesome DIYs to try. Personally, I’m leaning toward that blue and orange design. So pretty! For the full article and links to the DIY projects follow the link below! It’s hard to believe that Easter is right around the corner. 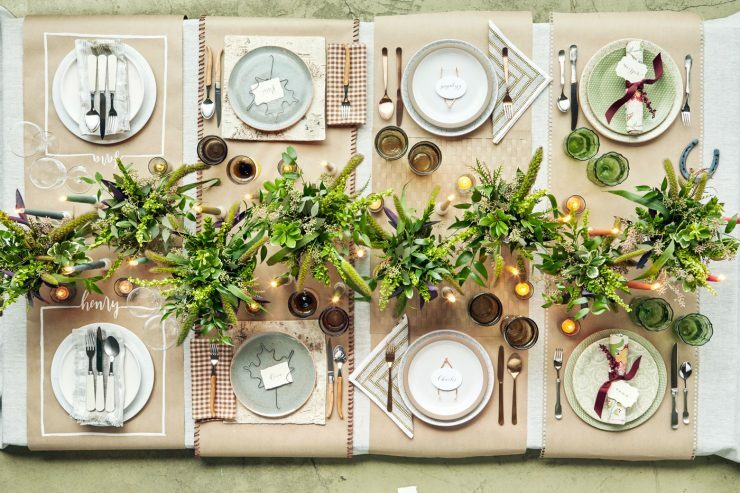 I really love decorating for family dinners, and Easter is an opportunity to have fun with lots of color and whimsical designs. The kids just love it! It’s the one time of year that I actually pay close attention to the dollar section in Target. Everything from bunny shaped place settings to mini metal pails, Target has some great options for Easter decorations. If you have little ones in the house, it’s also an opportunity to have some arts & craft fun. 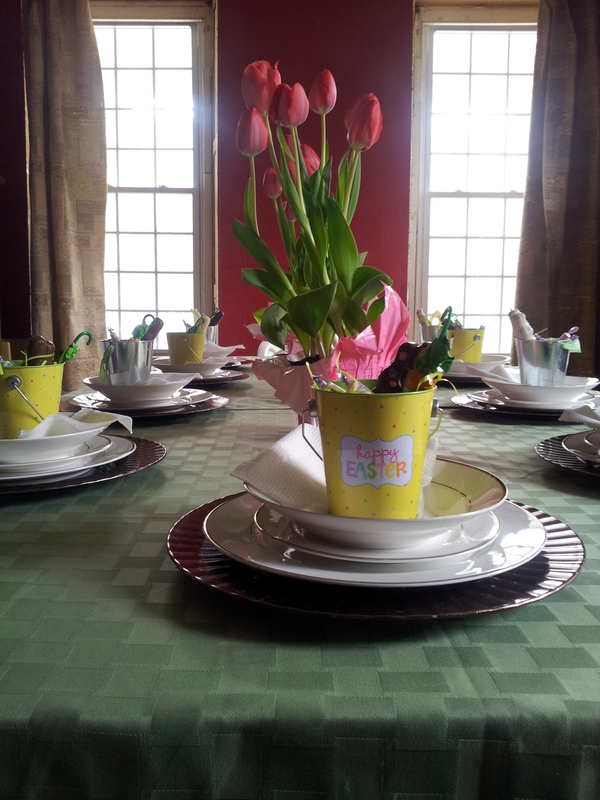 One of my favorite things to do is to design a fun tablescape around mini Easter baskets. The kids and I take those mini metal pails and fill them with all kinds of goodies. 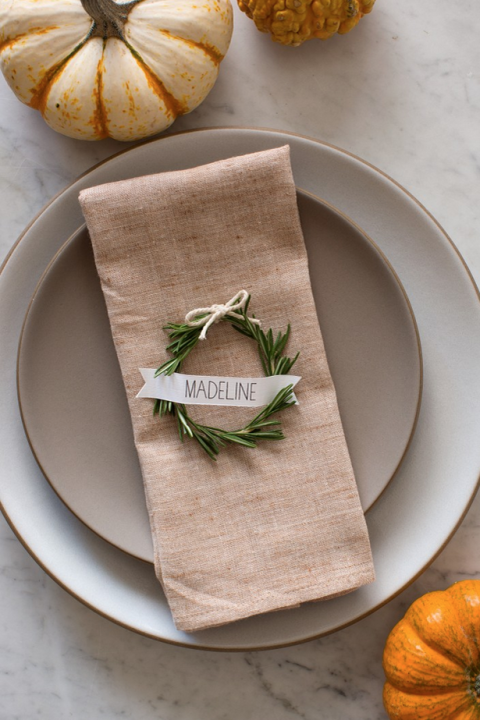 Each “Easter basket” is placed around the table as a fun little place setting. This year I think I might try something a little bit different. I’m planning on going super sophisticated with my Easter decorations. I want to use soft colors, simple designs, and give the table an all around more adult feel. 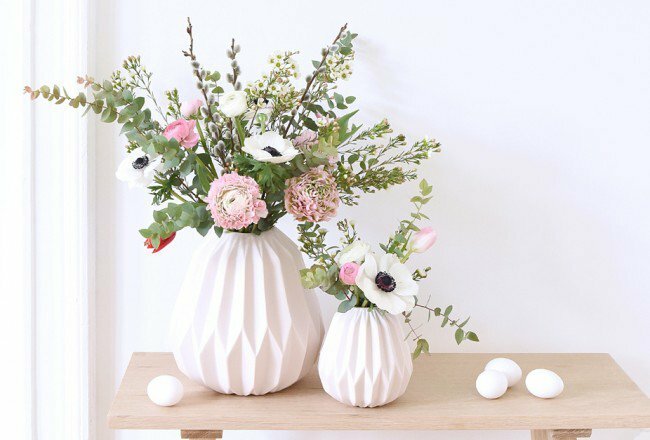 Searching around on the internet, I found this wonderful floral arrangement, and some great tips for Easter decor. Just follow the link below. Source: decor8 – decorate. design. lifestyle. 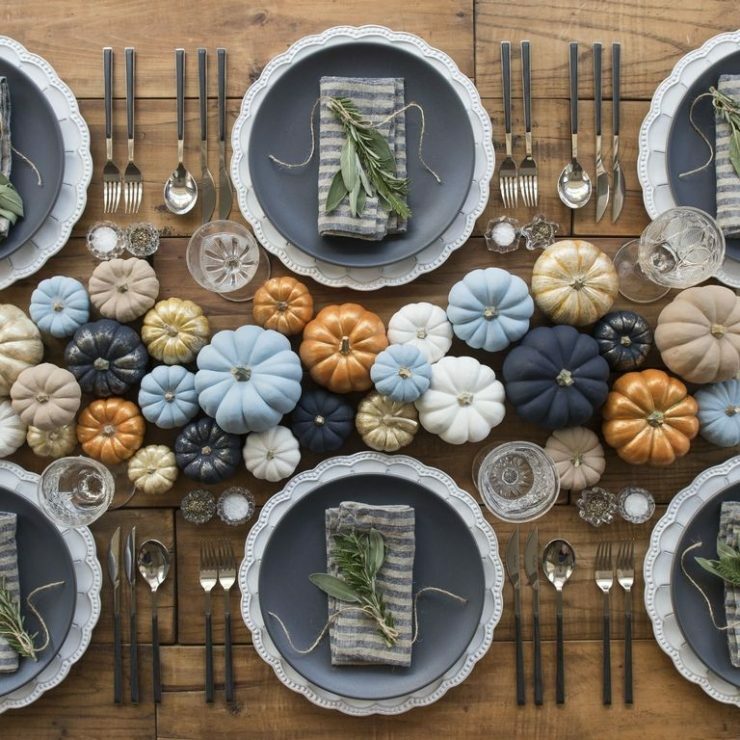 With Thanksgiving right around the corner, I thought I’d share some of my favorite table design tips for the holiday. 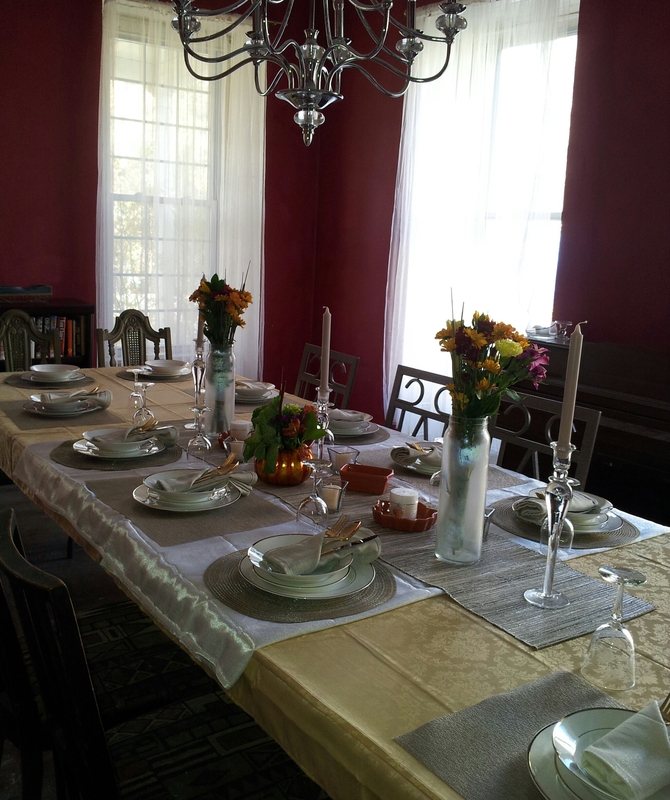 I absolutely love dressing the table. 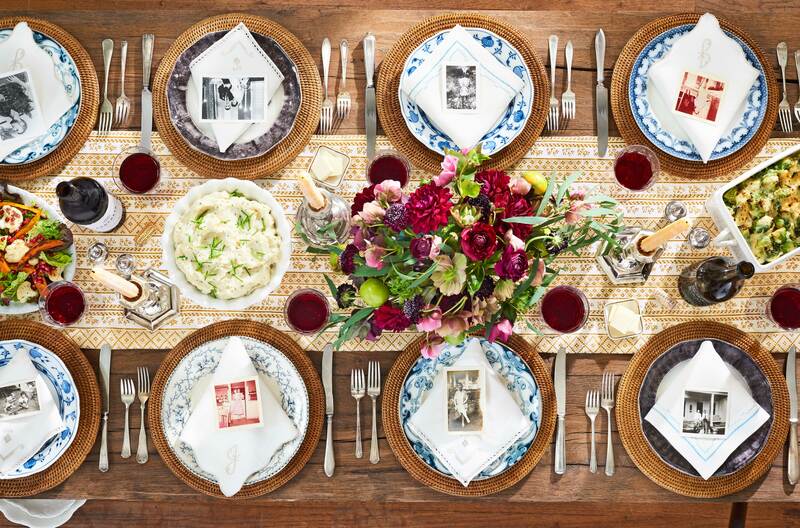 It gives me an opportunity to add a bit of elegance to our usually, casual family dinners. Rustic, modern, or as traditional as the image above- I always look through images to see what appeals to me and then I try my best to recreate the decor… on a budget of course! You can find a surprising number of inexpensive candle holders, place settings, and even glassware at your local arts & crafts store. Thanksgiving is all about celebrating nature’s bounty. 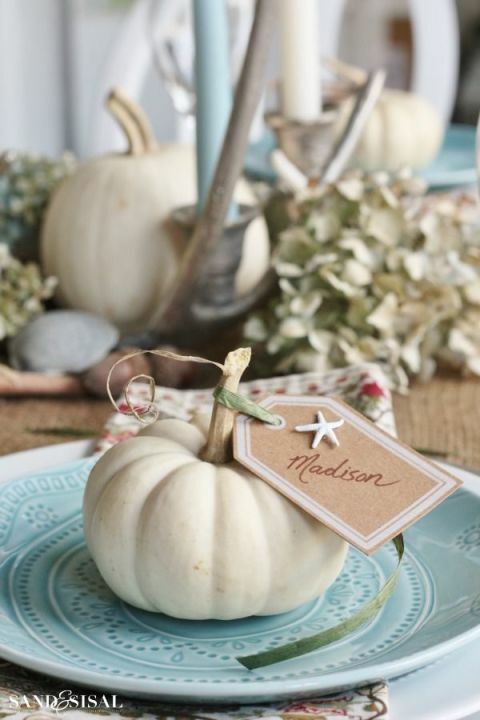 Wooden candle holders, winter gourds, fresh flowers, or all of the above should appear somewhere on your table. This holiday is one of the few times in the year that I actually use fresh flowers. I’m absolutely horrible at caring for plants, but since I know it’s a temporary decoration, I don’t feel so bad when I finally manage to kill the unlucky flowers that were placed on my table. If you live in a place that has a produce store, or even at some local grocery stores, you can usually find inexpensive floral arrangements for your table. 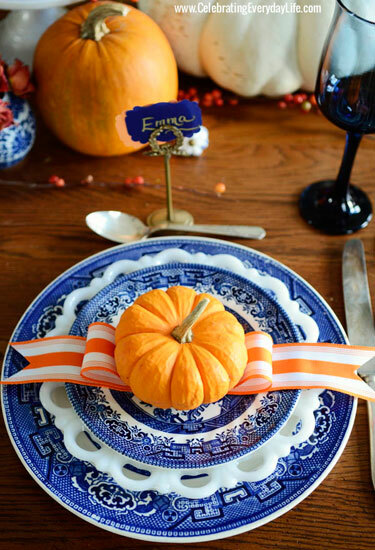 Thanksgiving table decor doesn’t have to be too over the top or gaudy. 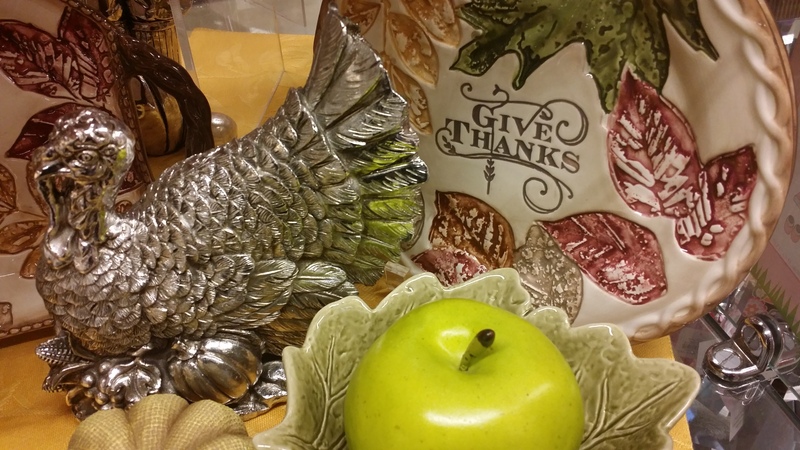 Some people really are turned off by a table that screams kitschy Thanksgiving. I find myself gravitating more towards neutral palettes with pops of fall colors. I think that aesthetically it’s more appealing to everyone. 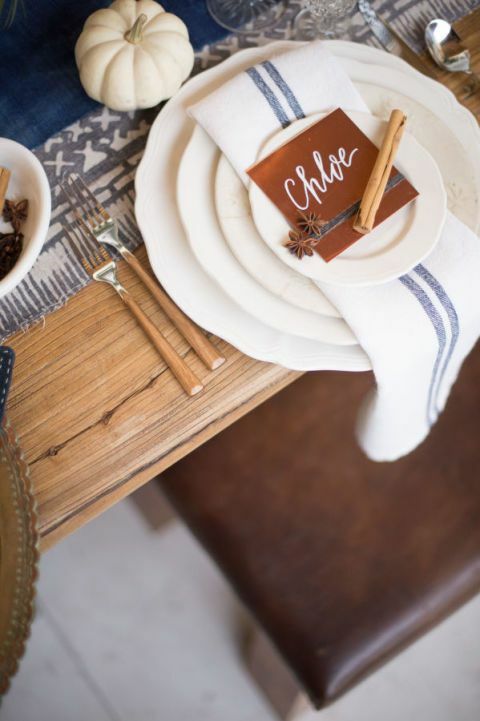 ***One final note: cloth napkins are a must, and with all the awesome tutorials on napkin folding, it’s a sure fire way to impress your guests. Happy Thanksgiving!!! I’d love to see some of your favorite table designs!